I was born and raised in the east end of Hamilton, Ontario, the last of ten children. I graduated from Bishop Ryan High and went on to attend King’s College, an affiliated College of the University of Western Ontario and graduated with my first degree in 1990. I completed my Honours degree at McMaster University in 1991 and went on to complete a Master of Arts degree at the University of Windsor in 1993. While at Windsor University I also went to Teacher’s College and obtained my teaching degree along with my Ontario Teaching Certificate. After achieving these degrees I decided to put theory into practice and took a lead teaching post in ESL in a private school in South Korea. Once I returned from South Korea I attended the University of Alberta law school and graduated in 1998. I returned to Hamilton to practice law and after articling and writing the bar exams, I was called to the bar in 2000. When I began practicing law my training was largely in the area of insurance defence work. I understand how insurance companies make decisions and the tactics and strategies they employ to reduce or extinguish claims. Working on the inside of this system has greatly benefited those clients I have served over the years. I only help injured people now. Education beyond the classroom continues to be important to me and I have given formal and informal seminars to lawyers, service providers and other community groups. I also have many other interests including creating stained glass windows, pottery and playing baseball. I also spend part of my time committed to charitable work so that we may improve the lives of the community in which we serve. I am a past board member of Community Living Hamilton, a past representative on the Special Education Advisory Committee for the Catholic Board, and past president of the Hamilton Lawyers’ Club. Renee grew up in Grimsby and received her Bachelor of Business Administration Degree at Acadia University. She subsequently obtained her law degree from the University of New Brunswick in 2000. Renee was called to the Ontario Bar in 2002. Renee’s area of practice is plaintiff personal injury, working exclusively on behalf of injured people and their families. Renee began her career as a defence insurer litigator and thus has a unique and valuable perspective when handling matters. She has assisted many individuals and their family members with accessing accident benefits from their insurance companies, obtaining out of court settlements against at-fault parties and securing long-term disability insurance. 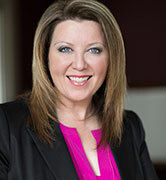 She has appeared as Counsel before many levels of the Ontario Courts and has extensive experience advocating before various boards and tribunals. Renee is Past chair of the Lawyers’ Legacy for Children Fund and Past President of the Hamilton Lawyers’ Club. 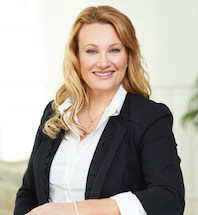 She is also currently a member of the Law Society of Upper Canada, The Hamilton Law Association, The Ontario Bar Association and the Medical-Legal Society. When Renee is not advocating for her clients, she enjoys travelling and spending time with her three children.